The Diversity Chic ladies – Sevi, Valery, and Denise – are more than best friends, they are my heroes. Each of them is doing their own part in leaving the world a better place than they found it. 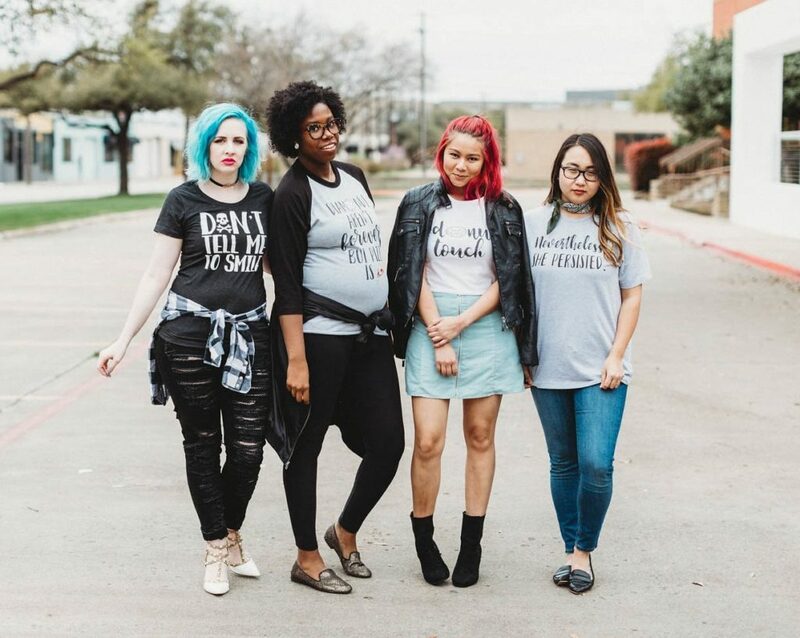 Everyday Unicorns, a “cute + quirky feminist apparel” brand created by Valery, celebrates the magic of being unique and standing up for your beliefs. We were thrilled to celebrate her new venture and show off our favorite picks from the site in an impromptu #DiversityChic post. 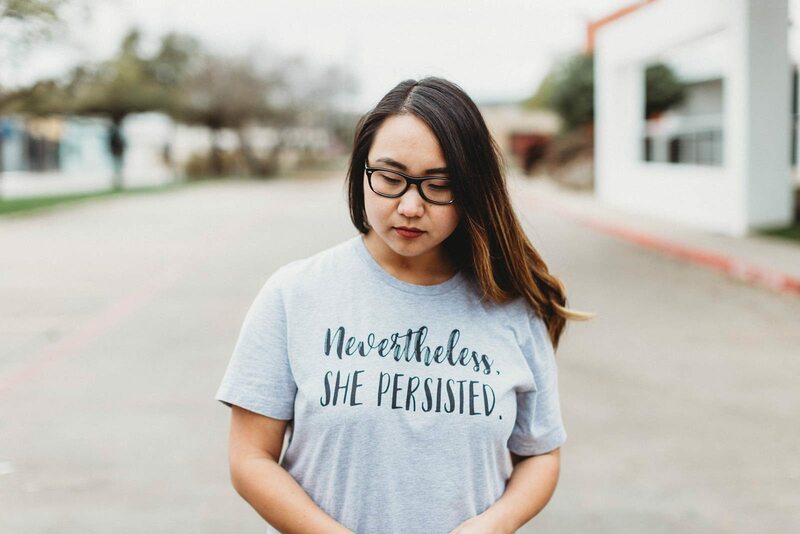 To be honest, I chose to wear Valery’s “Nevertheless, She Persisted” T-shirt because I needed the inspirational reminder to keep going. The phrase originated in February after Democratic Senator Elizabeth Warren was silenced during a late-night Senate session debating Trump’s nomination of Jeff Sessions. What was intended to be an excuse for the interruption quickly turned into a feminist rally cry and personal mantra for many women who have felt similarly silenced by oppressive forces. Following the news lately has left me feeling emotionally-drained… hopeless, even. As an INFJ, I tend to absorb emotions of others. Empathy drives everything I do, which can take a toll if I don’t practice self-care regularly. Keeping my head above water has required more alone time than usual and incorporating mindfulness practices to help alleviate stress. I may not have an enviable social life right now, but I’m doing what I need to so that I can persist. Thankfully, I have friends who understand this necessity, and give me constant support and motivation. The highlight of my months is always when we can get together for our Diversity Chic shoots. These incredible unicorns restore and energize me with their passion and laughter. Stay tuned for this month’s “official” Diversity Chic post, and get your favorite rainy day outfits ready for our link-up! Visit Valery, Sevi, and Denise‘s blogs for details on their Everyday Unicorn shirts. Thanks, Jaclyn <3 What a great mantra... cheers to perseverance! 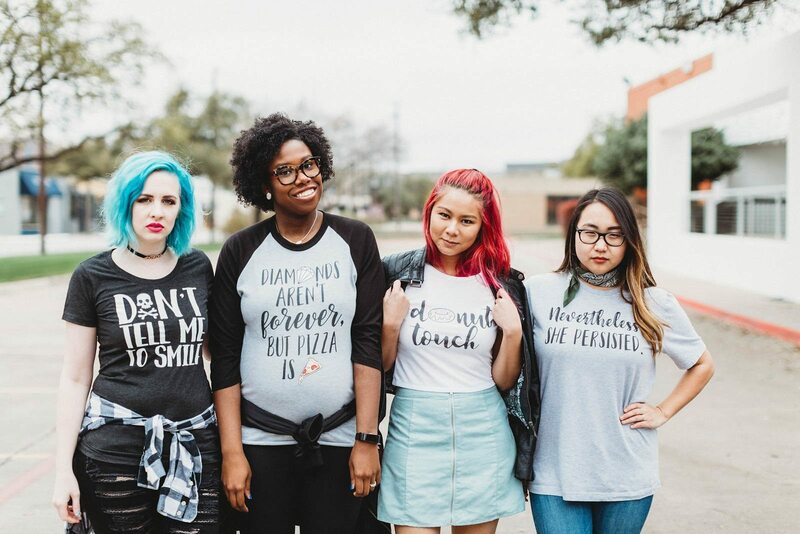 you need the pizza/diamonds shirt, brooke! Kudos to Elizabeth Warren for opposing the appointment of Jeff Sessions and his hateful agenda. I’m fascinated by the number of Trump appointees with connections to Russian state security, most certainly not coincidental. Watch that story carefully.